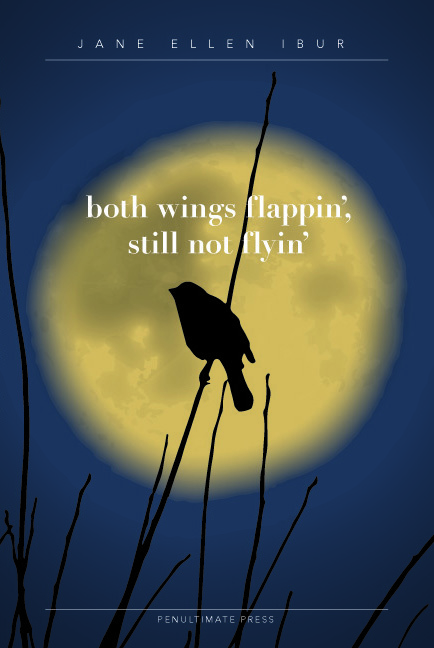 Jane Ellen Ibur’s poems don’t shy away from the messy necessities of living and dying. The tasks they describe often parallel the labors assigned to the underserved and unappreciated: cleaning, scrubbing, tending the sick, and bandaging the wounded— what Robert Hayden might call “love’s austere and lonely offices.” Accordingly, a cleansing spirit animates the best of these offerings, a realization that personal renewal is seldom achieved without firsthand knowledge of loss, grief, and the transcendent bliss of genuine connection. In this evocative narrative of kinship blooming over the borders of a divided city, Ibur performs painful, beautiful, necessary work. Living True: Lesbian Women Share Stories of Faith is an anthology of essays about Catholic Spirituality from women who identify as lesbian or bisexual. The collection celebrates the courage of women who’ve not only “come out,” but who’ve come into an understanding and owning of self that offers the possibility of living authentically. The essays, contributed from women around the U.S., give voice to a verity whose expression is long overdue. With the masterful translation of Morada al sur, Shapiro unlocks, for English-speaking readers, the haunting world of Aurelio Arturo, one of Columbia’s most inspiring poets. Exiled in the north of the country, Arturo writes longingly of his beloved home in the south. The elegance and lyrical quality of his poetry conjures a nostalgic re-creation— magical and mythic— of southwestern Columbia. A mysterious figure who yet looms large over Columbia’s poetic landscape, Arturo’s single volume is consistently regarded as one of the most influential works in the twentieth century Latin America. Founded in 1887 by two former slaves, Mound Bayou, Mississippi, was a self-contained, all-black community that flourished under the vision of its leader, Isaiah Montgomery, despite being located in the heart of the segregated, post-Civil War South. In its heyday the town was a proud symbol of black achievement and a tremendous source of racial pride. Newly freed African Americans were able, in that small but special haven, to experience a first taste of the American Dream; thus Mound Bayou came to seem like a promised land. With the decline of its agriculture-based economy and encroaching racial hostility, the town suffered reversals and many of the Mound Bayou’s inhabitants joined the millions of other African Americans who migrated northward in search of better employment, safety from physical violence, and the unfulfilled promises of freedom. Some journeyed to St. Louis, Missouri, where they put down roots and fashioned new lives. Up from Canaan is a slice of the Great Migration story told, in part, by those who, with hearts full of hope traded the familiar for the unknown. 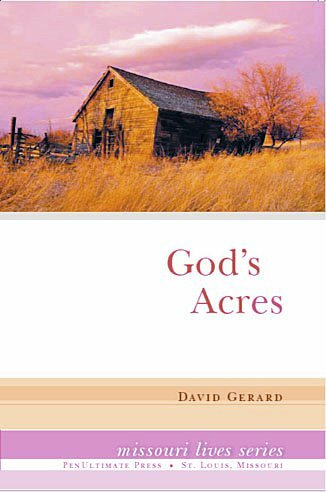 In God’s Acres, six-year old Bud tells the story, set in the 1950s, of his family’s relocation from St. Joseph, Missouri, to a small farm just outside the town. That twelve-acre homestead represents the idyllic life for Bud’s mother, the story’s central figure— a woman driven by unwavering religious beliefs and a rigid work ethic— but it turns out to be the source of much heartache. With an endearing earnestness and bits of laugh-out-loud humor, Bud intertwines signal developments in the lives of his family members with key world events— all of which seem to be of equal importance from his perspective as a child. At the start of each chapter, an adult Bud speaks from the present, closing the circle on a complex tale of family relationships. In The Voice of Water T. L. Jamieson unfolds an album of memories to bring us along on his journey to adulthood. His chronological vignettes reveal a childhood marred by family discord— conflict characterized by abuse and alcoholism. Jamieson describes how he finds, in the natural beauty of the Ozarks, a healing balm for emotional pain. Water is a particular source for of solace for him. And it’s by means of the calming property of water, the physical act of running— the vehicle by which he experiences the rural landscape, and the life lessons he acquires through several key relationships that he is able to mend old wounds and restore broken bonds. Saint Louis as a literary hub? Surprisingly so, shows author Catherine Rankovic in Meet Me: Writers in St. Louis. Using skills honed as a journalist, Rankovic takes readers into the minds behind the works of thirteen acclaimed writers whose paths somehow intersected with the Gateway City. These “literary greats of the future,” as Rankovic predicts, include novelist/ critic Harper Barnes, memoirist Kathleen Finneran, poet/playwright/novelist Ntozake Shange, essayist Gerard Early, poet/novelist Qui Xiaolong, and others. The book also includes biographical sketches and samples of work of each of the interviewees. Rankovic’s laid back interview style makes readers feel as if they are sitting on a sofa next to her subjects. A delightful, thought-provoking read, sure to please anyone who enjoys the craft.